Easy Homemade Gift Ideas - Keeping it Simple! Easy homemade gift ideas. The holidays are right around the corner, and if you are like many others you may be worried about being able to afford great gifts for your loved ones. Unfortunately budgets are tight right now, and that can really negatively impact your gift giving budget. However, that doesn't need to dampen your holiday. Instead, you may want to think about some easy homemade gift ideas. In fact, you may even be able to take advantage of free homemade gift ideas that will thrill your friends and family. 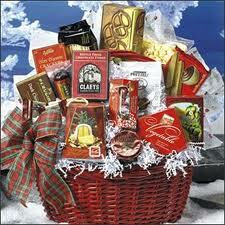 One of the best easy gift ideas has to be a junk food gift basket. Here's the truth, the holidays are known for their delicious treats. Why not embrace that with some easy homemade gift ideas. 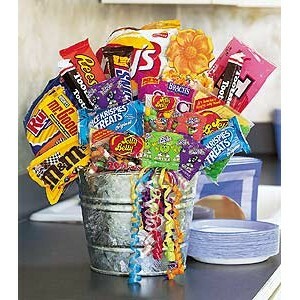 If you are going to go the route of making a junk food gift basket you can include some of those favorite tasty treats. For example, one of the best free homemade gift ideas is to create a Christmas Cookie basket. Everyone loves cookies especially during the Christmas season. Why? Because there are so many different varieties of cookies. If you are already going to be making cookies to celebrate the season you can simply take an assortment of those delicious treats and arrange them in a seasonal basket. This is one of the easy homemade gift ideas that will make your recipient squeal with delight. 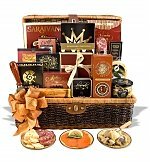 When looking for free homemade gift ideas why not think about creating a movie night gift basket. The truth is that much of this you will be able to find in your own home. Basically, think about anything that you would possibly need for the perfect movie night. Create a basket that includes a selection of sodas, microwave popcorn, some sweet treats, chips and nacho cheese, and anything else that you could possibly dream of. This is one of those easy homemade gift ideas that is incredibly affordable and fun to put together. 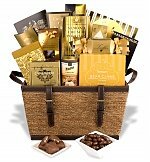 A junk food gift basket is a guilty pleasure loved by so many. Another one of the great easy homemade gift ideas out there is to create a cozy night in a basket for this holiday season. This is one of the best last minute free homemade gift ideas out there because it is simple, and you can usually find everything that you need in your pantry. Think about what you would want for a cozy night sitting around the fire, then, put it together. 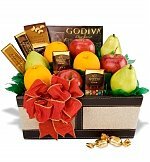 Homemade gift basket ideas - ideas that are great on the pocketbook and lovely to receive. Assemble a variety of hot chocolates, teas, coffees, and even chai teas. Additionally, you may want to add in the ingredients that you need to make smores. 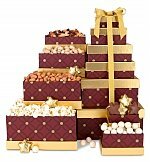 With this collection of goodies, you can trust that your gift's recipient will be cozy and thinking of you. The truth is that there are many easy homemade gift ideas out there this time of year, and with that variety you can find free homemade gift ideas that suit just about anyone. The key is to keep in mind what people will like, and one thing that everyone likes is food. Take a look at the supplies that you have available to you and use a bit of your creativity to decide what your junk food gift basket is going to look like. You might be surprised at just how fantastic your gift ends up being.